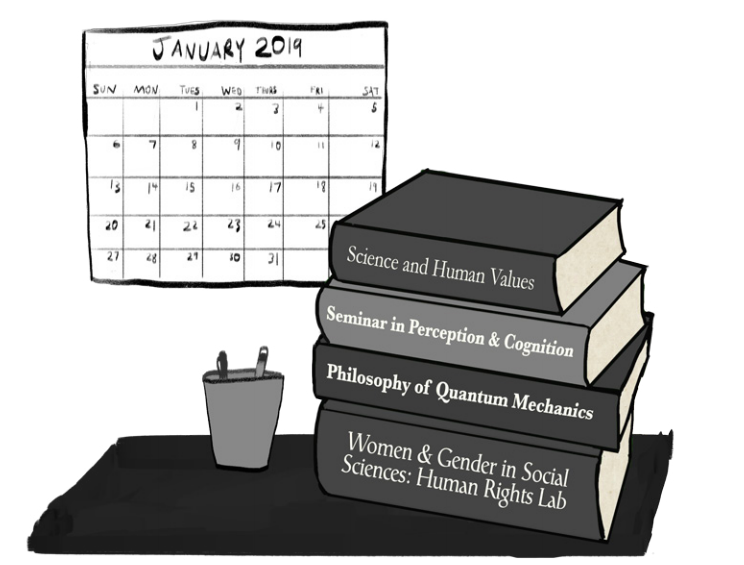 In the Philosophy department, Assistant Professor Nina Emery will be teaching both Philosophy-104: “Science and Human Values” and Philosophy-222: “Philosophy of Quantum Mechanics.” “Science and Human Values” will serve as an introductory course to philosophy and is catered to first-year students. “As a philosopher of science and a new professor at Mount Holyoke, I am excited to be bringing these sorts of interdisciplinary courses to the philosophy department,” said Emery. Emery’s other new course, “Philosophy of Quantum Mechanics” analyzes the interpretations of quantum mechanics and how they are influenced by philosophy in science. “[I] look forward to demonstrating how scientific theories can give rise to novel philosophical insights and philosophical theories can help shed light on difficult scientific questions,” Emery said. Visiting Gender Studies Instructor Verónica Zebadúa Yáñez will be teaching Gender Studies-212HR: “Women and Gender in Social Sciences: ‘Human Rights Lab: Transnational Perspectives on LGBTQI and Women’s Rights.’” Students in the class will study “the contemporary state of LGBTQI and Women’s Rights worldwide and the strategies available to further them,” according to the online course description. The class will act as both a seminar and a workshop in which students will be able to practice writing United Nations (UN) and Non-Government Organization (NGO) reports. Psychology-349: “Seminar in Perception and Cognition: ‘Sixth Sense’” will be taught by Visiting Professor Jenessa Seymour. This course will focus on people who lack one of the five senses, as well as how the senses shape our understanding of the world. There are plenty of other new courses that will be offered in the spring of 2019 in various departments, such as Gender Studies-210 NR: “Women in New Religious Movements,” Africana Studies-34 AF: “African American Spiritualities of Dissent,” Film Studies-220NC: “Social Media: Networked Cultures” and Neuroscience-309: “Topics in Neuroscience and Behavior: ‘Synaptic Plasticity: Synaptic Mechanisms Underlying Learning and Memory.’” The full list of courses offered during the Spring 2019 semester can be found on MyMountHolyoke.